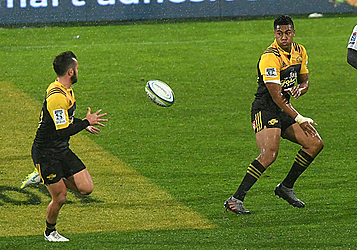 WELLINGTON, New Zealand (AP) — First time champions the Hurricanes will begin their defense of the Super Rugby title against Japan's Sunwolves in Tokyo on Feb. 25 under the draw for the 2017 tournament which was released on Tuesday. The Sunwolves finished last in 2016 while the Wellington-based Hurricanes claimed their first Super Rugby title, beating the Johannesburg-based Lions in the final. The Lions begin their campaign away to the Bloemfontein-based Cheetahs while last season's semifinalists, New Zealand's Chiefs and Highlanders, will meet in their opening match on Feb. 24. The Melbourne Rebels will play the Auckland-based Blues in the first match of the new season at Melbourne on Thursday, Feb. 23. The draw confirms there will be no reduction in the number of teams or changes to the contentious conference system in 2017.